Why is it a cactus? 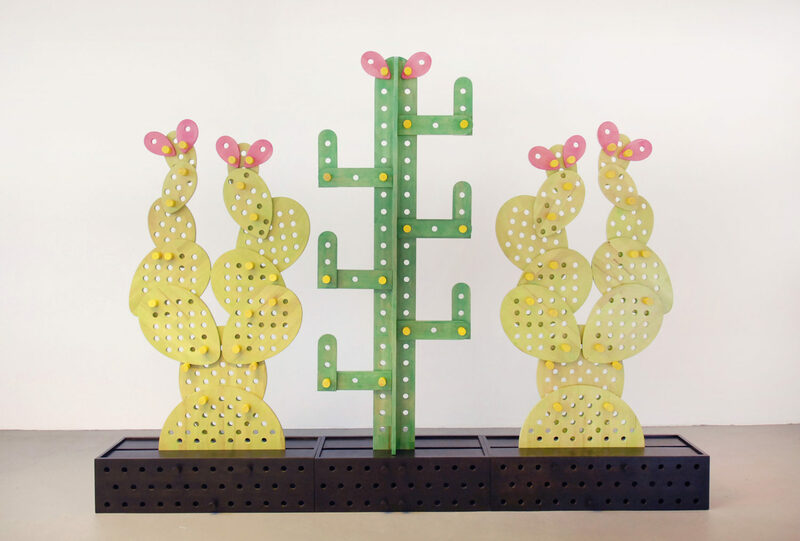 To be honest with you: I can’t explain why I chose a cactus as a model for this room divider. Maybe I did it because it has an interesting form and doesn’t need much care – like a room divider. Some designers and artists are true masters, when it comes to attach great meaning to every detail of their work in retrospect. 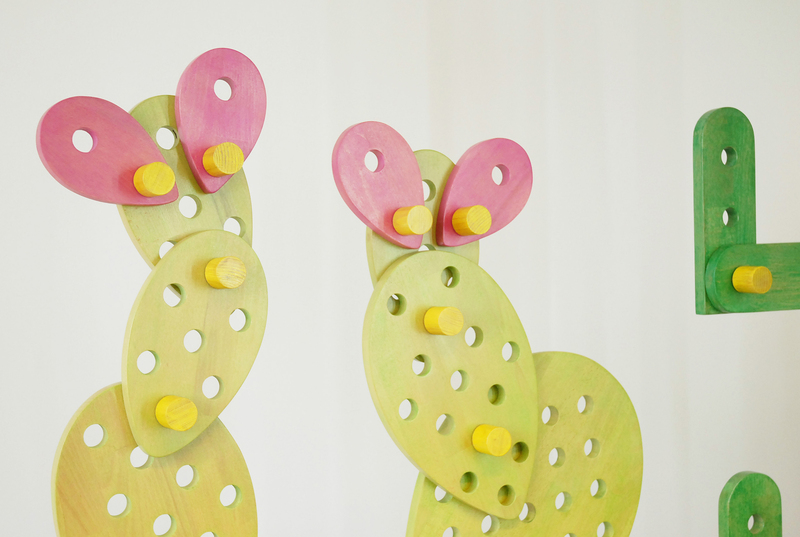 When I work on a new piece of furniture, many things just develop intuitively. Sometimes I realize only afterwards why I did certain things the way I did them and sometimes something new emerges just because it feels right. Out of sheer curiosity I started to rub it on a piece of wood and saw that the colouring had the perfect combination of colour intensity and transparency for this furniture. I’m also not concerned about my work being labeled as either “art” or “just” furniture design. That’s up to you to decide. What matters to me is that my furniture becomes a part of the owner’s daily life. I don’t want it to be a nice decoration, that catches dust in a forgotten corner. I want them to be touched, moved and used by people. 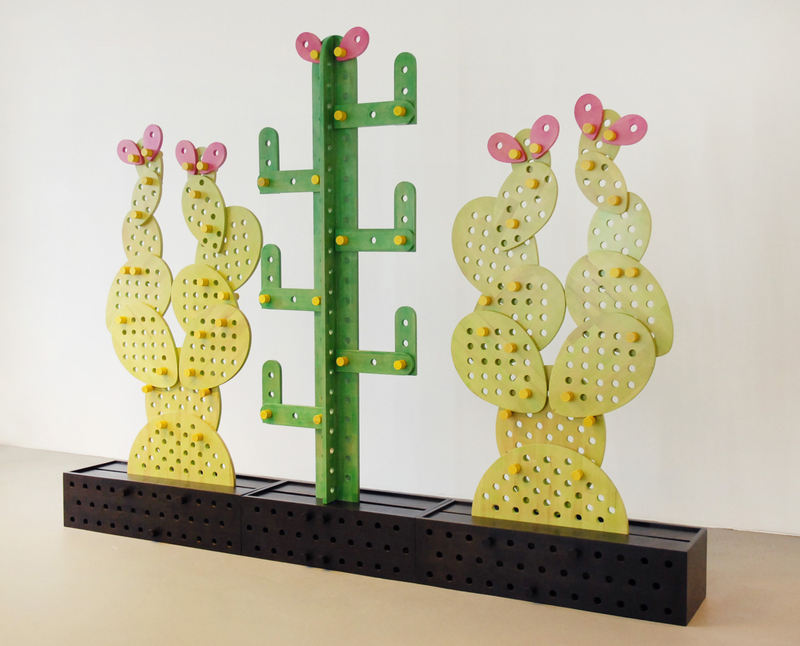 If my “Cactus” room divider can help to create a more colourful and positive atmosphere in a room, or simply put a smile on somebody’s face, it has served its purpose.